33% Merino Wool, 33% Acrylic, 33% Polyamide, 1% Elastane. 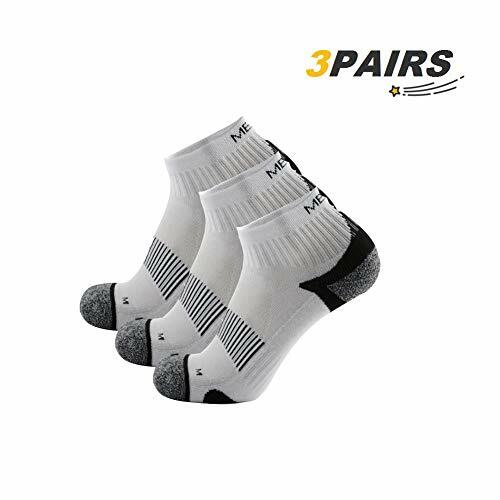 Keeping your feet dry, warm and comfortable during hiking, trekking, long walks or if you just need a nice pair of everyday socks. Merino wool keeps your feet cozy in the winter and fresh and cool in the summer. The exclusive performance blend wick away sweat and then evaporate it fast, so your feet will stay comfortably dry. The targeted ventilation zones allow a constant airflow and being padded from heel to toe, the socks absorb jarring shock and minimize chafing. By Former Navy SEAL Erik B. J rgensen. Wash Inside Out. Wash With Similar Colors. Water Temperature Not Above 40 C or 105 F. Do Not Iron. Do Not Tumble Dry. THE ULTIMATE GIFT for your family, friends and loved ones. We do our utmost to deliver an Excellent Customer Service and are always there to support you. If you have any questions or issues do not hesitate to contact us. Quality You Can Feel Are you tired of supposedly premium wool socks that tend to fall apart within a year? Do you want the comfort and durability of merino wool on your feet, but you don't want to pay an arm and a leg? 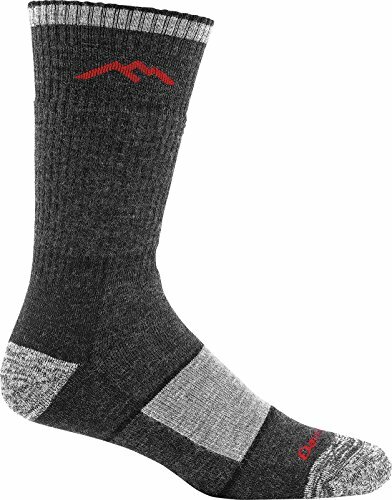 Are you new to the world of wool socks and you just want something that will keep you comfortable and odor/sweat free all day? 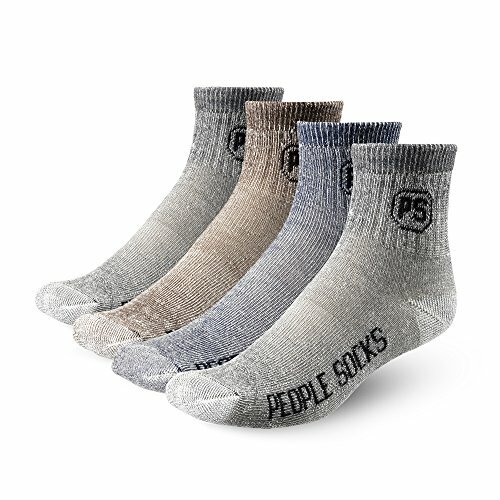 Experience Premium Merino Wool at a Bargain Price with People Socks! We designed these socks to be everyday wear - not too thick, not too thin. We also reinforced the toe and heel so they won't wear out on you as quickly as some wool socks can. Why People Socks? Since we started in 2012, we've been on a mission to make merino wool socks affordable and bring them to you in a sustainable manner We wanted to knit in the USA and found a way. Typically, you'll pay around $18 a pair for high-quality merino wool socks; with us you'll pay a small fraction of that -- around $5-$9, and they're made right here in North Carolina to our exacting standards. The People's Promise It's simple: We want you to be happy people. It's our way of ensuring you get your money's worth every time you buy from us. 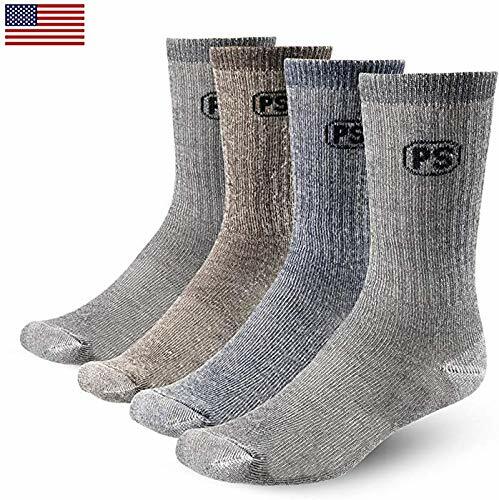 Give The Gift of People Socks It seems like every day we hear from someone who had never tried wool socks before buying from us, and they're totally blown away by the superior comfort, sweat and odor control compared to cotton. So if you know someone who could stand to make the switch, our socks make a wonderful gift. The lucky recipient will be thanking you again and again for setting them straight in the sock world. So scroll back up, choose your size and color, and enjoy merino wool on your feet at a price that can't be beat! WIN WITH MERINO WOOL: Enjoy a comfortable fit in every season with these men's and women's merino wool socks. Whether you're on the hiking trail or city trail during the summer or winter or at the work site in the winter, your feet will be just warm enough. 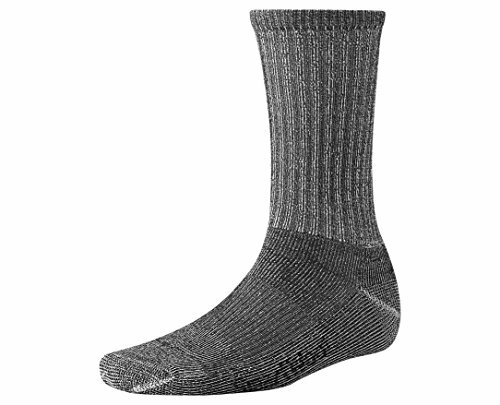 USA KNIT: We manufacture our merino wool socks right here in North Carolina, then pass them on to a central fulfillment house who ship them right to your door. This brings you the quality product you deserve in a sustainable manner. BUILT TO LAST: Our warm merino wool socks are medium-heavy thickness and are made with a reinforced heel and toe to last just that much longer than a typical pair of merino wool socks - all at a fraction of the price you'd normally pay. 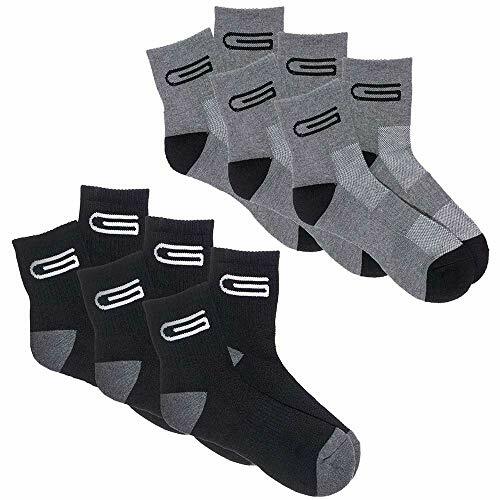 GIVE THE GIFT OF MERINO WOOL: If there's anyone in your life who hasn't experienced what a high-quality pair of merino wool socks can offer, rescue them with a People Socks gift pack with an assorted gift of pillows for your feet. THE PEOPLE'S PROMISE: If your merino People Socks develop any problems, just let us know and we'll take care of it right away. Click Add to Cart, and discover how comfortable and affordable locally-made merino wool socks can be! YOUR SEARCH FOR THE BEST RUNNING COMPRESSION SOCKS FINALLY OVER! - Do you spend all day on your feet, and the result is swollen ankles and foot fatigue? -Suffer from Aching and Heavy feeling in the arch, Foot Pain, or Plantar Fasciitis? -Want to prevent blood clots, especially after surgery or prevent injury when inactive? INTRODUCING LOW CUT COMPRESSION SOCKS BY PHYSIX GEAR TO THE RESCUE! 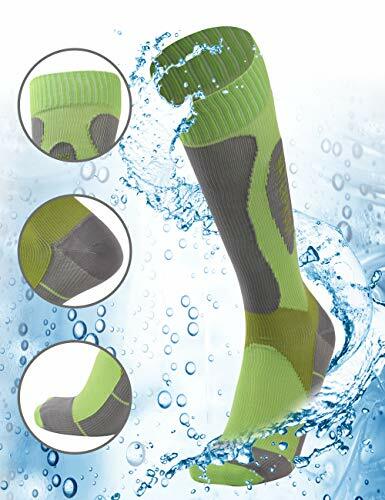 GRAB CONTROL OF YOUR WELLBEING IN STYLE - An Excellent Non-Slide No Show compression Sock that's durable with a fashionable look & variety colors available. Washable designed with Quality Lycra Fabric built for durability. Customers agree the comfort is amazing. Use them the energize your feet on a plane or during that 6 mile hike. Your durable 20 - 30 mmHg sleeves work with your routine. Feel the compression effect instantly that really helps reduce fatigue and swelling in your Feet. GET READY. TO BECOME A RAVING FAN! - We cut no corners in our product and will cut no corners in our support of you! You are making a very intelligent decision doing business with our company. We know you're a big deal and we'll only provide you with the finest product and service around or your MONEY BACK! 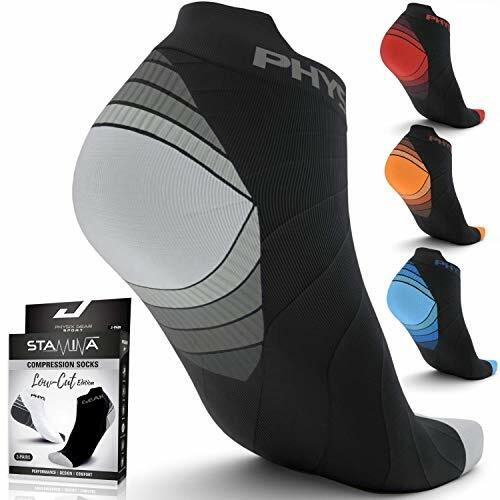 Add your Physix Gear Sport Running Compression Socks to your Cart and experience the Physix Gear Sport customer experience phenomenon! Add to cart now to begin the amazing journey! 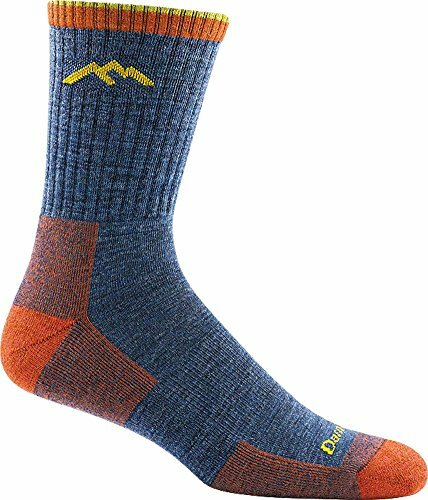 MIRMARU Multi Performance Hiking Socks are the perfect blend for strength and durability , made with 55% combed cotton, 40% polyester, 3% rubber, 2% spandex. 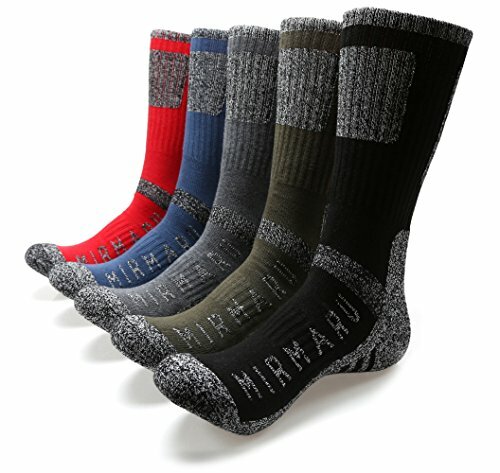 MIRMARU Socks is a direct to consumer channel that enables us to provide our customers with the highest quality products at the best competitive price. We are not like other resellers, We skipped the middle distributors channel so we can afford to give our customers a bigger discount. Second Skin-Our most technologically advanced socks. Utilizing 3-Dimensional modeling, Thirty48 has designed them for Anatomically Correct Fit. Engineered with Stretchy Ultra Light Fabric for Seamless Toe Closure (50% Nylon, 14% Lycra Spandex). Seamless Toe Closure allows for complete range of movement and prevents abrasion on the toes. Moisture Wicking Lightweight Mesh (23% Wick Poly, 14% Lycra Spandex, 13% Cotton) provides superior ventilation and comfort. THIRTY48 IS THE MANUFACTURER - You can buy with confidence knowing that your purchase is directly from THIRTY48 Corp. Our customer service team is available 24/7 and there is no third party department you have to deal with since you are buying direct from Manufacturer. 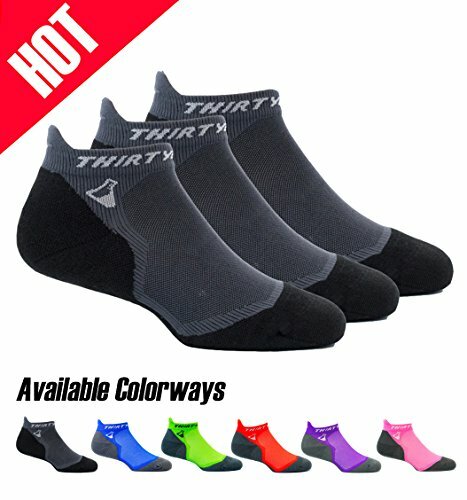 Thirty48 will NOT be responsible for any purchase made from other sellers as they are NOT selling the real Thirty48 Ultralight Running Socks. 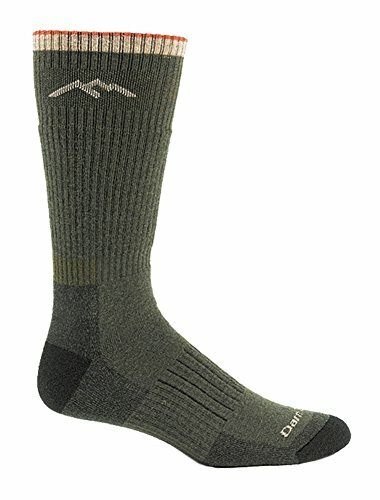 Darn Tough socks are made for long-lasting comfort on the trail, in the mountains, or for daily use with high quality Merino wool blended construction. The socks feature dense cushioning all around foot and around the shin for protective comfort while elastic in the arches supports the foot. Ribbing above the ankle ensures a proper fit and invisible seam, ring-toe construction ensures that the socks will fit the toes without bunching up. Built to maintain their shape and sturdiness for the long haul, the socks have reinforced heels and toes and are made with 69 percent custom shrink treated Merino wool, 27 percent nylon, and 4 percent lycra spandex. The socks carry an unconditional lifetime guarantee to remain comfortable for the duration. Thermolite gives thermal insulation and wicks moisture away to keep feet dry. Smooth linear looped toe seam for no irritation at toes.? It consists of 50% Thermolite polyester, 49% nylon and 1% Lycra spandex. 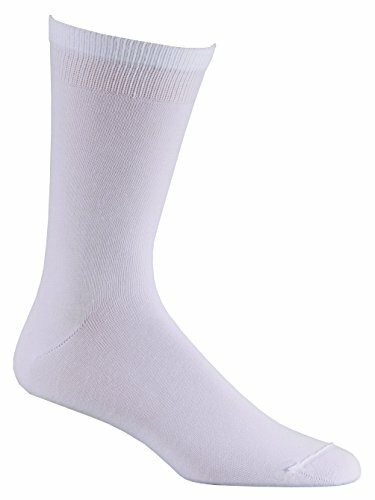 RANDY SUN Men's Knee Length Waterproof & Highly Breathable Socks Athletic Socks. 100% waterproof and breathable, moisture and perspiration absorption, warm and comfortable, 100% seamless, perfect fit on the feet. The feature of 100% seamless, dry and warm are available for daily wearing, instantly improving your feet temperature in the winter. Meanwhile its thickness is moderate for all seasons. Weight: the socks(Size L) is 4.59 ounce one pair. SUITABLE OCCASIONS: Perfect Military Personnel Socks especially for the military training. One of the top Skiing Socks choices for snow sports enthusiasts. Well suited for all sorts of Snow Sports like Skiing, Skating, Ice Rock Climbing, Snow Fights, Ice Golf, Ice Archery, etc. 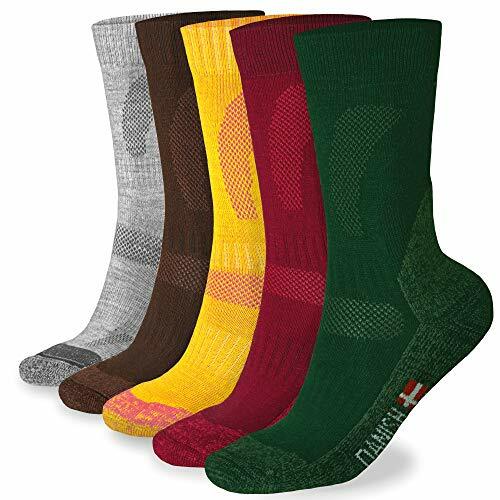 Great Mud Sports Socks & Outdoor Sports Socks for hazardous outdoor activities with mud and water all over the place, such as Trekking, Hiking, Mountain Biking, Fishing, Hunting and Exploring. 100% Waterproof,100% Inspection and 100% Seamless - Offering the perfect balance of warmth and breathability. 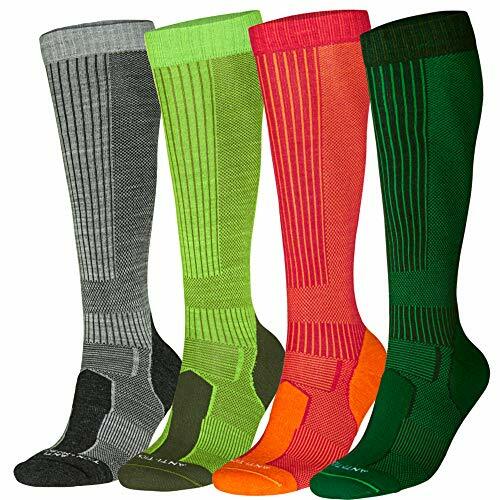 MudGear Pro-Grade Compression Socks - Men's and Women's athletic knee high socks for running sports, performance, recovery, hiking outdoor trails, or rucking in military boots with strong construction and a padded calf. Made in the USA. Tested by top elite OCR athletes, the full length MudGear Compression Obstacle Race sock is a tribute to the nasty gashes suffered by OCR racers at the hands of long rope traverses and painful slides across rusty metal poles. 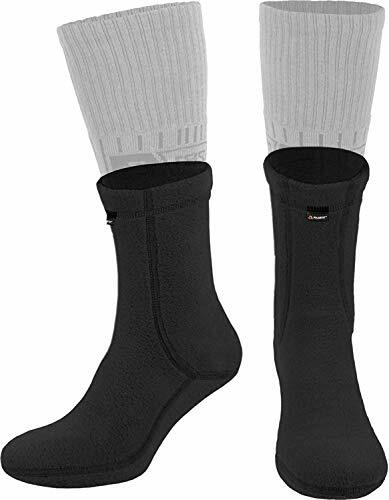 This is the only compression sock we know about that is built with a layer of padding on the lower leg and calf that protects from rope burn and other injuries. The difference comes from 168 needlepoint compression construction with a tougher yarn that provides good compression with superior abrasion resistance compared to gym quality compression socks and sleeves. The back of the calf features an extra layer of protection that still drains well and remains light for long distance courses. The high-quality constructions makes thes socks perfect for nurses, maternity wear, relief of shin splints, calf pain. Often prescribed for medical conditions like varicose veins. Used frequently in other sports like soccer, field hockey, ice hockey, motorcross, and rucking in military boots. PINK POWER! 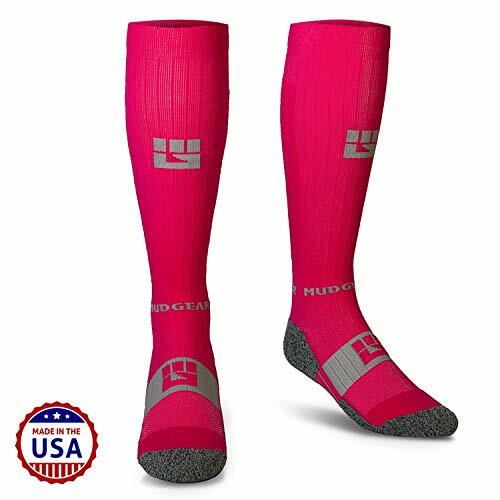 - MudGear's Pink Compression Socks feature the same premium construction of all MudGear running socks. They're built tough for men and women to look and feel great while working hard in any outdoor performance sports like Spartan Race and Tough Mudder, but comfortable for hiking, climbing, rucking and all-day wear by military, police and rescue workers, nurses, and other everyday warriors. Knee high with padded calf. SUPER COMFORTABLE - Built to provide comfort, wick water better than wool, and prevent blisters over long miles. These compression running socks are built to last. TRUE GRADUATED COMPRESSION - Reduce muscle fatigue and boost circulation. Performance grade rated at 15-20 mmhg and often used for medical support and relief. SPEEDS RECOVERY - Stabilize muscles and recover faster. Padded toe box, over and under. Armor up for all competition. Also excellent for soccer, motorcross, ski, and hockey. 100% SATISFACTION GUARANTEED - Conquer obstacles with MudGear. Compete in Comfort. Looking for breathable, quick-drying, cushioned socks with arch support that won't slouch down as the day goes on? These are the crew socks for you. slipper socks, or simple boot liners, winter sports to harsh conditions of hiking trail or modern battlefield. temperature balance, so your feet would be warm, comfortable and dry even in most demanding conditions. and does not obstruct the natural movement of the foot. Flat seams do not create any pressure and discomfort under any footwear. Liners are also very lightweight and compact, so they can be easliy carried in a bag or backpack, until you'll need to use them. 281Z liners have been extensively tested, and have proven their durability in combat conditions. Designed by 281Z Development Group. VERSATILITY. 281Z liners are designed to work with the majority of hiking, trekking and working socks and footwear. They provide good insulation, remove excess moisture, dry quickly and create a comfortable temperature balance, so your feet will always be dry and warm. OWN THE WINTER. A perfect solution for cold season. Liners perfectly work at any type of winter sports and activities. Alpine or cross-country skiing, snowboarding, snowmobiling, hiking, climbing, mountaineering, hiking, fishing, playing traditional winter games and many more. WORK COMFORTABLY. Ideal choice for those who spend all their working day outside in the cold. 281Z Liners work perfectly with all types of working footwear. High-quality materials ensure that liners can stand to any beating they can be subjected during the work. No matter what conditions are - they will keep your feet warm and dry. ECO-FRIENDLY. Materials meet the STANDARD 100 by OEKO-TEX. Absence of banned colourants, formaldehyde, pentachlorophenol, cadmium, nickel, and other harmful components. HOME COMFORT. Can be easily used as warm, soft and comfortable slipper socks that keep your feet warm as you do work around your house, yard or garden. SIZECHART. S - 3.5-5.5 (Men) / 4.5-6.5 (Women); M - 5.5-8.5 (Men) / 6.5-9.5 (Women); L - 8.5-11 (Men) / 9.5-12 (Women); XL - 11-13.5 (Men) / 12-14.5 (Women). ATTENTION! For accurate sizing information, please refer to the size chart featured as an image on the listing. Do NOT refer to the Amazon size chart LINK next to the size selector. 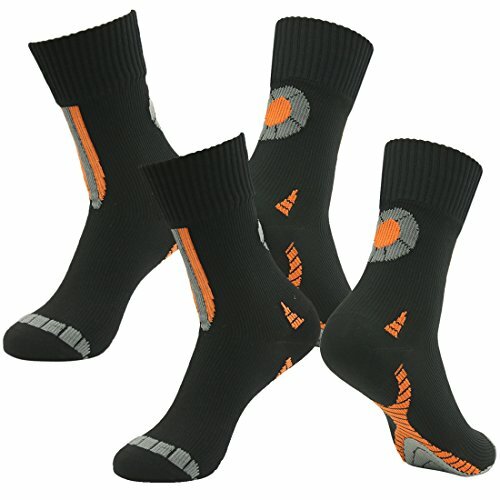 These unisex long hiking socks are developed and designed in Denmark and will help you perform your best. Whether you are you are hiking, trekking, walking, backpacking or travelling the breathable fabrics and padded zones will provide you with the ultimate hiking experience. Materials: 40% merino wool, 31% acrylic, 27% nylon, 2% lycra. Care instructions: Wash with similar colors. Not above 40 C or 105 F. Do not Iron. Do not tumble dry. Sizes: Kids size 13-3, US Women 5-7 / US Men 3.5-6, US Women 8-10 / US Men 6.5-8.5, US Women 11-13 / US Men 9.5-12.5.